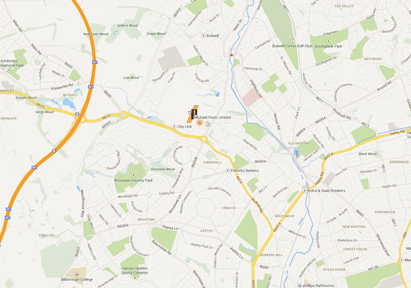 Michael Pavis Ltd is ideally situated for easy access, just one mile off Junction 26 of the M1.  © Copyright 2019 All rights reserved. 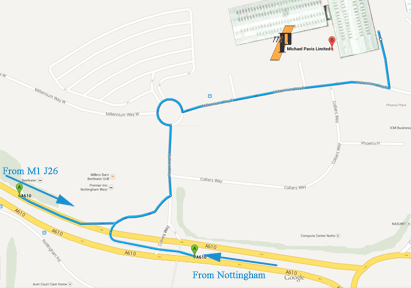 Michael Pavis Ltd.
Exit the M1 at Junction 26, and follow the signs for Nottingham A610. At the next roundabout, which has traffic lights, take the third exit, again sign posted Nottingham A610. After half a mile, take the next left at the traffic lights to enter the Phoenix Centre. Take the A610 - Nuthall Road - following signs for the M1. At the Cinderhill Roundabout (next to Gateway Hotel), continue on the A610, but immediately take the right hand lane to join the filter lane through the traffic lights to enter the Phoenix Centre.